169 kg with 148 HP, the snack that you won’t feel bloated after ! 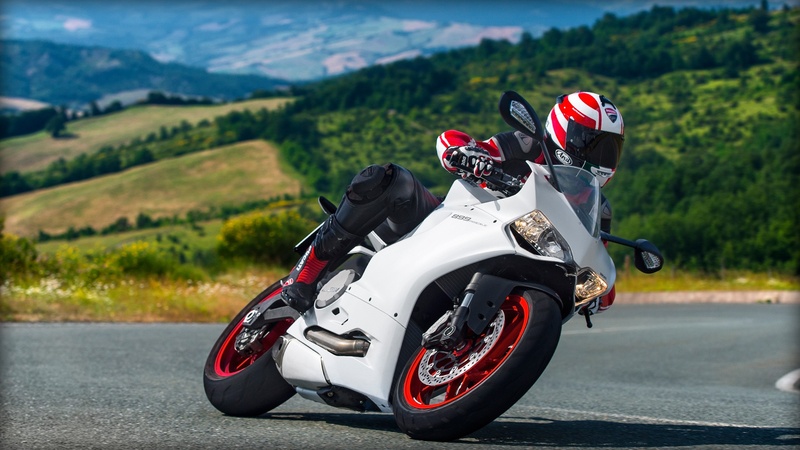 The bike comes with all the gismos you’ll ever need, riding Modes, fully integrated ABS, Ducati Traction Control (DTC), Ducati Quick Shift (DQS), Engine Brake Control (EBC) and full Ride-by-Wire (RbW) throttle control with Ducati e-Grip. The power to weight ratio is great, the rider will be able to go throttle happy without feeling guilty afterwords. I feel this bike will do much better that the 848 which didn’t get amble time to prove it self locally, it might also do better than the 1199 which is hot, harsh and very track focused.